Finding a gift for a college girl is hard, I would know since I'm super picky myself! From birthdays, sorority events, to graduations, there's always some sort of event that you need to buy a gift for. Earlier this month I discovered the jewelry shop, The Collegiate Standard and realized that this is the perfect place to find a gift for a college girl! They offer a large variety of sorority (and fraternity!) 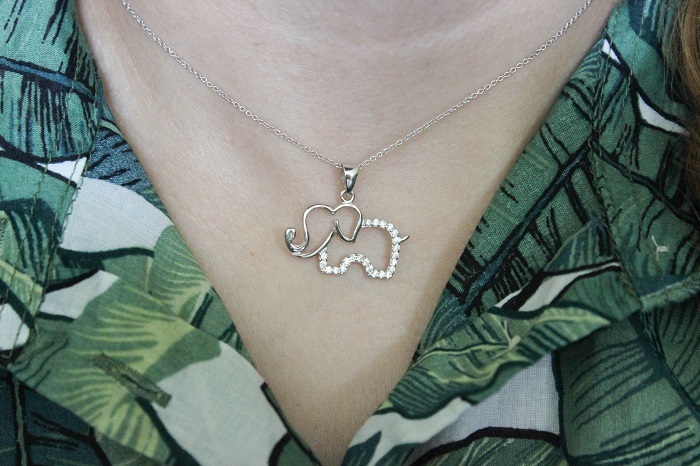 jewelry along with non-greek jewelry such as this Elephant necklace that they sent me. 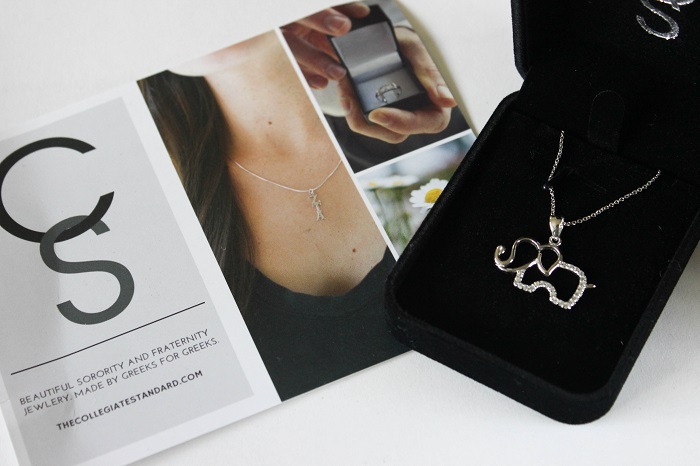 I always heard that elephants represent good luck and it must've been my lucky day since I was fortunate enough to have such a gorgeous piece! Here's an up close shot of the necklace which is sterling silver and has lab created diamonds surrounding the body. It's also super light weight so it doesn't bother you if you're someone who doesn't wear jewelry on a frequent basis. Of course there's tons of other types of jewelry if you're not a fan of necklaces such as the Kappa Alpha Theta bangle and this Crown ring. If you'd like to shop more jewelry or even learn how to become a campus rep then visit http://www.thecollegiatestandard.com or follow them on social media at Facebook, Twitter, and Instagram. Hope you enjoyed this post and let me know which ones are your favorite if you check out the site!